I'll be the first to point out that today's point isn't really about the wares I typically write about. However, I couldn't resist. If you're still wondering, and somehow still haven't noticed the photos, today's post is about... APRONS! Don't worry, it's also about oven mitts and pot-holders, and dish towels! So why am I so excited about these items? Well, it's because yumsugar is offering a $50 certificate to Jessie Steele, designer of the cutest aprons, oven mitts, and other domestic essentials. Don't believe me? 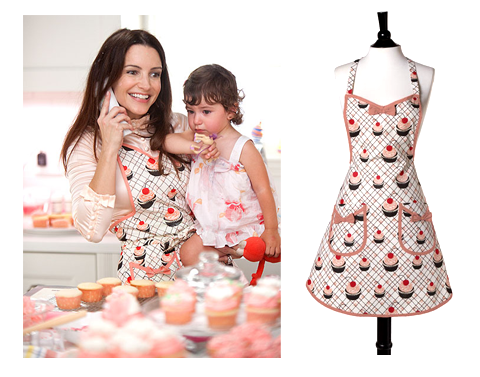 Even Charlotte York Goldenblatt has a Jessie Steele apron! 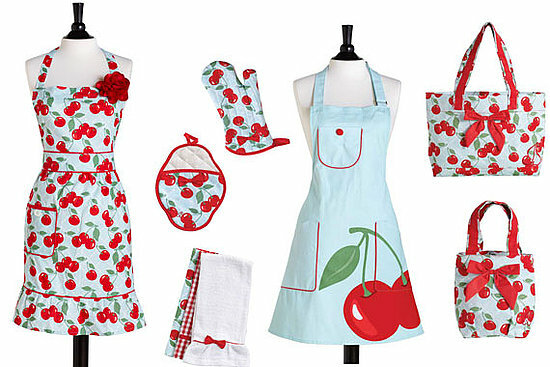 To be honest, these aprons are so pretty that I'd actually be afraid of getting them dirty when I cook! On the other hand, these actually make me want to cook. And host dinner parties. And pretend I'm Betty Draper (minus being annoying and such a bad mother). Ever since I noticed Anthropologie pedaling adorable aprons a few years ago, I've played with the idea of getting one but haven't taken the plunge. I think this is the incentive I needed! And I think it's a great gift for Mother's Day or even for a bridal shower (if you know the intended recipient likes to cook). A sampling of Jessie Steele on yumsugar...you can get a whole set!